Posted byOmi Sido 10th April 2019 10th April 2019 Leave a comment on Why attend BrightonSEO conference? As a digital marketer, it is critical to stay on top of all the latest trends and tactics. Attending SEO meetups will help keep you up to date on the latest SEO strategies, trends, tips, and tools. If anything is consistent amongst different meetups it is without a doubt the numerous opportunities to network with others, which are usually great. It represents the unique chance to network with your peers, prospects and yes even your competitors – keep your friends close but your enemies closer (lol). 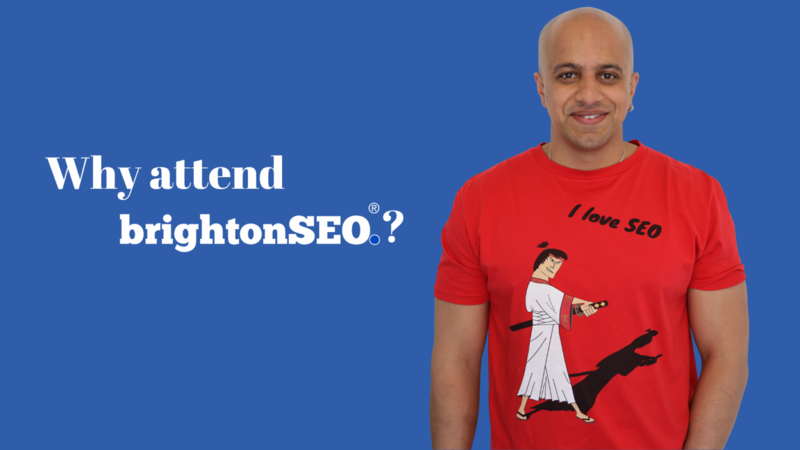 Why attend Brighton SEO 2019? The search marketing profession, guys, is defined by change. Tactics that work today are outdated next quarter. Platforms launch and platforms disappear on a monthly basis. Smart digital marketers know that in order to stay competitive and the best versions of themselves, they need to train. They need to train hard. That’s why elite digital marketers like you attend BrightonSEO: the conference that speaks to an elevated level of experience, skips the basics and addresses the nitty-gritty of the digital marketing universe. I’m gonna be there. And if you happen to see me come and say hi. Hi, Omi. Don’t be shy. You know me – you’ve got the problems and I’ve got the solutions. See you soon, guys. Peace.